November 27, 2017 - Like us now! 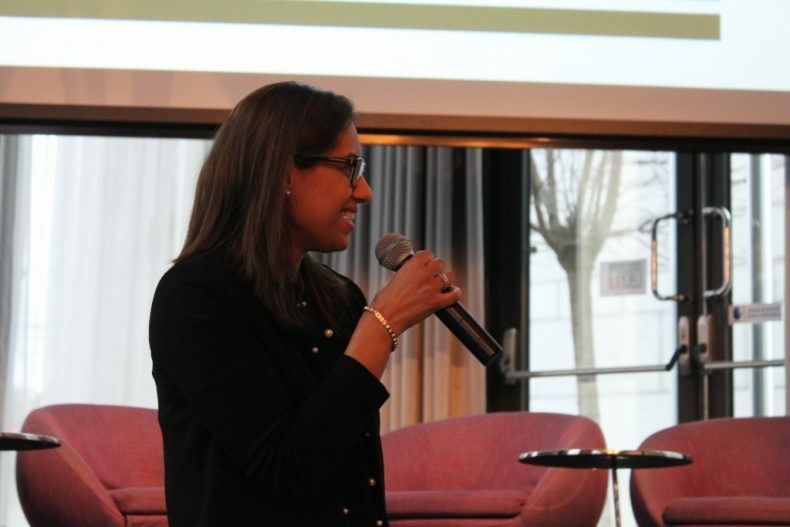 On November 14, 2017, Pakistan Sweden Business Council (PSBC) together with Embassy of Pakistan, Sweden hosted its very first Nordic Pakistan IT Summit in Stockholm, Sweden at Courtyard by Marriot, with participation from various companies from Pakistan and as well from IT organizations from Stockholm. The aim of the summit was to connect and engage companies from both countries and provide a platform for dialogue and knowledge exchange. With an impressive speakers’ list, the program included guest speeches by National Incubation Centre (Pakistan), Interactive Health Solutions (Pakistan), Seamless Distributions (Sweden & Pakistan), Honorary Counsel of General for Finland, Invest2Innovate (Pakistan), and Stockholm Chamber of Commerce (Sweden), Microsoft (Sweden), Telenor (Sweden), SUP26 (Sweden), Teleopti (Sweden), DPLIT (Sweden & Pakistan), Digital Dividend (Sweden & Pakistan). The speakers shared stimulating insights and experiences working in both countries, with specific panel discussion topics concerning innovation, start-ups ecosystems, cultural intelligence, working in remote teams, and the IT landscape. The first panel discussion titled “Innovation and Startup Ecosystem in Sweden and Pakistan” was moderated by Peder Rotkrich, Founder of Eyeoda & Mentor at Founder’s Institute. The panelists included Daniel Sonesson (CEO SUP46), Helena Mischel (Account Executive, Microsoft), Parvez Abbasi (Project Director, National Incubation Centre Islamabad) and Ali Habib (CEO, Interactive Health Solutions). In 2016, approximately $400 million was invested in Pakistani startups. The panel discussed key ingredients of innovation in both regions and possibilities of mutual cooperations. Further, commonalities were shared among the participants. Both Pakistan and Sweden within the IT industry have mutual interests in terms of entrepreneurship, start-ups and digitalizing solutions across many sectors, especially Health which under the Summit was a prudent focus for organisations such as Microsoft and Interactive Health Solutions. Furthermore, in 2016, approximately $400 million was invested in Pakistani start-ups and more significantly, the Government of Pakistan’s Ministry of IT has an immense focus on supporting such activities and have therefore organized the National Incubation Centre, a public-private enterprise, coaching and nurturing young talent to commercialise with their ideas. Whereas, Sweden is already known as the next Silicon Valley, with some of the most significant unicorns being based here, including, Skype, Spotify, Klarna and few more. The second-panel discussion titled “Advantages and Challenges of Remote Teams” was moderated by Tejpal Singh, Founder of Look8 and StreetKäk. The panelists included Ingela Guldstrand (Head of IT Frontline and Analytics, Telenor, Mattias Engblom (CTO, Teleopti, Syed Ahmed (CEO DPLIT Islamabad) and Mehmood Ziauddin (CEO, Digital Dividend). The panel discussed various challenges that they are currently facing and shared their possible solutions. There are vital connections that we must recognise and act upon, notes PSBC. Pakistan has over 100 million people under the age of 30. That fact in itself should grasp the dire attention of business community looking for young talent. Whereas in Sweden, finding young talent is a substantial challenge that many organizations, especially within the IT sector face. Though Sweden is ranked 2nd in the Top Ten Start-ups Hub (2016), it has the biggest skills-gap in the global survey. Last but not least, the perceptions of global south, especially Pakistan, needs to be changed; was a common theme voiced from speakers working in both countries. Pakistan is the 5th best performing Stock Index in the world (Bloomberg, 2016) and recently also described as the Emerging Pakistan with immense potential to provide agile and quality solutions for organisation looking for innovation, agility, talent, and as well great opportunities for bi-later trade and business collaborations.